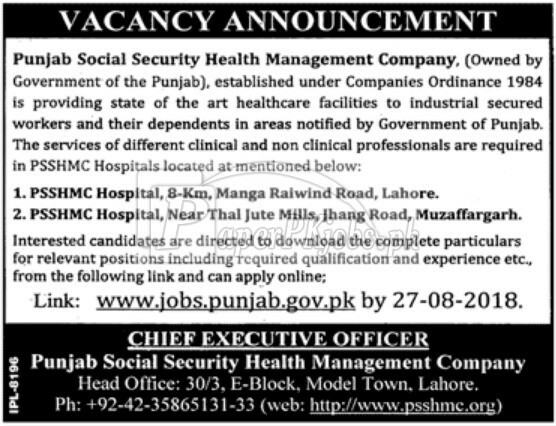 Punjab Social Security Health Management Company PSSHMC requires services of different clinical and non-clinical professionals for different PSSHMC Hospitals located at Raiwind Road Lahore and Jhang Road Muzaffargarh. 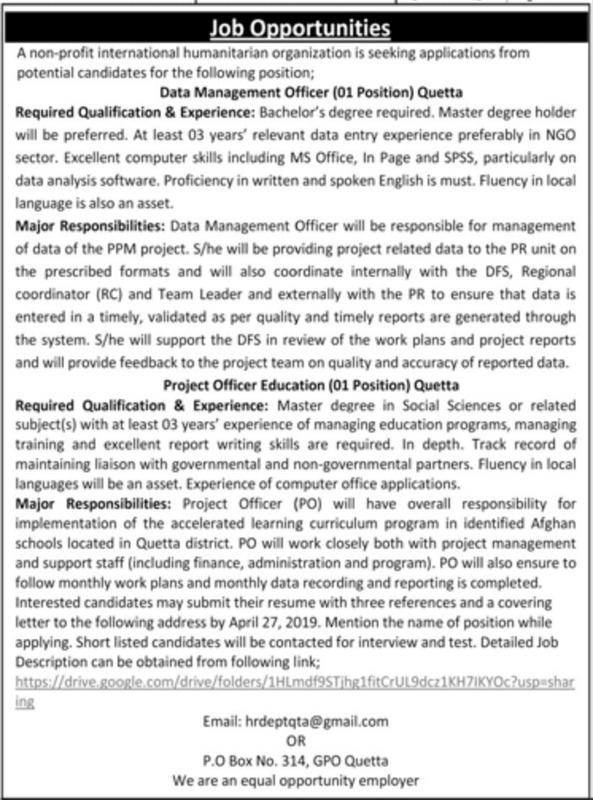 The interestd candidates are advised to visit www.jobs.punjab.gov.pk. The last date for submission of applications is 27th August 2018.